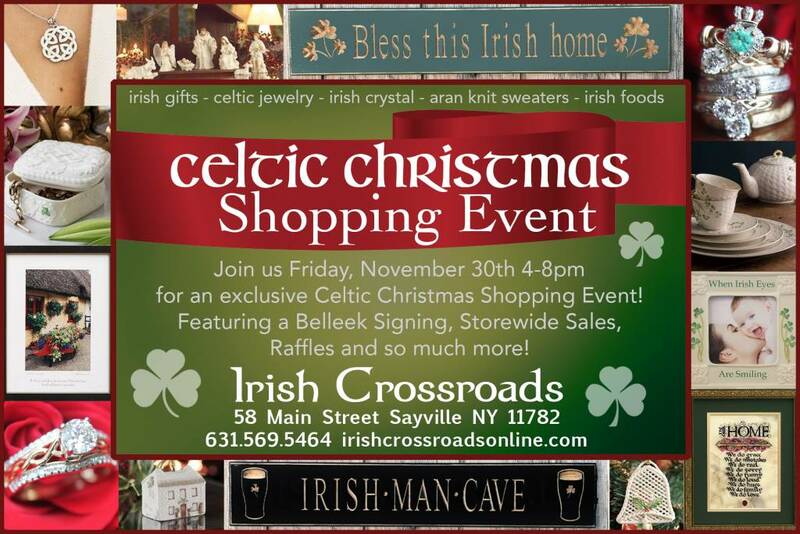 We are hosting a Celtic Christmas Shopping Event!!!! Join us on Friday, November 30th for an exclusive Belleek Signing, and meet some of our favorite vendors! Belleek Representative Attracta Lyndon will be here to sign and personalize your Belleek purchases, including two NEW exclusive pieces! The Celtic & Irish Gift Company Owner Ricky Chrismer will be here with Wood Carved Signs and Celtic Manuscripts! Shanore Celtic Jewelry Representative Alan Clancy will be here with Shanores beautiful range of Celtic Jewelry! Stop in for storewide holiday sales, raffles, giveaways and more!!! ***Advanced purchase of Belleek Event Pieces will be available on November 1st!